Both Fiat and Mini are celebrating scooping gongs at the 2012 Business Car Awards, showing that the popular Fiat 500 and Mini hatches perform just as well as vital business tools as cars for pleasure and performance. The Business Car awards are voted for by the readers of BusinessCar magazine, giving them a real-life seal of approval. For both Fiat and Mini, the awards represent an acknowledgement of how hard working and efficient their flair-filled models are. Unusually, the entire Fiat 500 range was awarded the City Car of the Year honour, demonstrating the exceptional strength of versatile and attractive range. 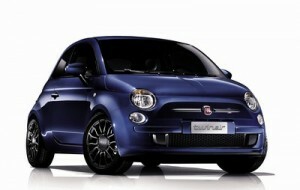 This is the fourth consecutive year that the Fiat 500 has taken this award, an impressive feat in a competitive sector. The editor of BusinessCar, Paul Barker, particularly praised Fiat’s innovative TwinAir technology, which gives ultra-low, Euro 5 compliant emissions, ideal for saving on company budgets and carbon footprints. He describes the Fiat 500 as winning mix of fun and frugality, with its distinctive, glamorous design and surprisingly small price tag. This fourth BusinessCar Top City Car award follows on the heels of numerous other honours, including being named 2008’s Car of the Year. Businesses looking to reward their employees with the desirable Fiat 500 can purchase or lease models, with prices starting at just £9,960. The ever popular Mini hatch has won the Supermini of the Year for the tenth consecutive year, another recognition of the enduring appeal of its iconic design, zesty performance and enviable running costs. Due to being an established favourite, the Mini range holds its value exceptionally well, making it a valuable asset in its own right. Barker says that Mini hatches “rock-solid” residual values are one reason why the car appeals so strongly to business fleet operators, along with superb efficiency and an undeniable cheeky charm. As he says, the Mini truly appeals to both head and heart. Not to mention a business’s environmental conscience. Both the Mini One D and Mini Cooper D hatches have MINIMALISM technology, resulting in super low CO2 emissions of under 100g/km. This enables them to enter the London Congestion Charge Zone free of charge, which offers a significant saving over time. If you’re looking to purchase or lease a new Mini or Fiat contact our sales team. 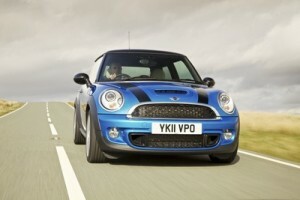 Alternatively, visit our website where you will find new and used Mini’s and Fiat’s available for sale or on finance.